..Wee Memories..: SQUEAL!! check this out! Morning everyone!!! Happy Thursday!! I would love to start your day off with some SUPER CUTE new releases from Your Next Stamp!! They are soooo adorable!!! I love them all!! Today we are having a New Release Blog Hop... I hope you join in with us! You have 4 chances to win a fabulous prize!!! YES 4!!! But you must keep hoping with us!! If you started from my blog, please go back to Your Next Stamp Blog HERE and start from the beginning. If your on the right track you should have arrived from our wonderful DT member Linda. You wont want to miss all the fun!!! Next I did a cute little card using Skating Fun Fhiona. I went CAS because I didnt want to take away from this super cute stamp, shes too adorable!!! I colored her with Copic Markers and cut her out and popped her up with foam tape. Then added some super cute Snowflake ribbon from May Arts. And used a sentiment from the Skating Accessories set. Want to win this super fabulous PRIZE?? I know you do!!! Well heres your chance. Just leave your link and your name below for your chance to be entered!!! Thats all!! And be sure to keep hopping for more chances to win some fabulous prizes!!! We will draw a winner at the end of our hop, so you have until Oct 12th at midnight to enter. So you ready to keep on hoppin? Well hop to it (lol) ...Your next stop is the super fabulous DT member Maureen... hop onto her blog HERE. Don't forget we also have a special promo for this release, 15% off sale!! Don't miss out!! Well thanks for stopping in!! I hope you enjoy the rest of your week!! :) :) :) I know I will be!! SQUEAL! How CUTE are your cards, Jenny! You make me want to play with them! Jenny! These are adorable! And that frame is so sweet! Swoon! These are so adorable Jenny!!!! Oh Jenny, these creations are adorable! 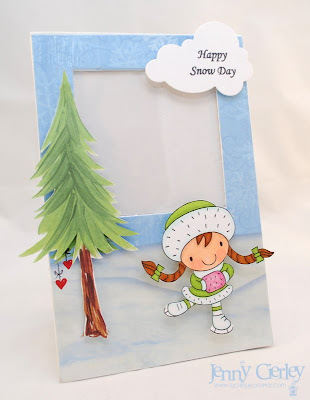 Who wouldn't love a frame like that to insert a picture of their little girl having fun on a snow day? You are very talented. Oh I just love both of your images and your coloring Jenny!! That frame is so fun and beautiful!! Adorable!! Oh these are delightful Jenny! Super super cute!! What cute images! I love the frame - completely adorable. And the image just pops against the white background on the card. I love what you did with the adorable image!! Fantastic card! Beautiful CAS cards Jenny! Stunning! Beautiful!Love the colors and the image! I just love both of these, Jenny! Your CAS style rocks, girl! Have a fabulous wedding weekend!!! Beautiful Creations Jenny you showcased these cuties perfectly! What a super sweet lil Ellie! Great job! Both of your projects are super cute, but that picture frame ROCKS!!!! Ellie is ADORABLE!!! Nice job with those adorable images. I'm a big fan of Ellie and Fionna. Cute cards! I love the ice skating. Love your cards, they are super cute! I just bacame your newest follower and I can wait to see more! I love your coloring technique and I want to learn from you. lol. I hope you can visit my blog too! Have a beautiful day!!! These little girls are SO CUTE! I love them! these are so adorable! lovely cards! Sorry no blog but hope I am considered anyway. Aww Jenny these are soooo cute! Jenny these cards are seriously cute! I love the little hearts hanging from the tree! Jenny these are so cute... with the wedding coming up how are you finding time to stamp!!!! Fabulous projects! Absolutely adorable stamps!!! Oh Jenny, these are super cute! 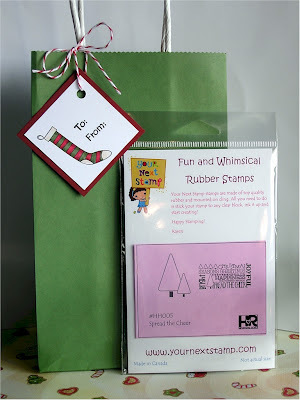 I guess having readily available cute stamps makes it a breeze to come out with great projects like these! These girls are so adorable and you make a nice scenes and cards from it! Great jobs! These little ladies are adorable and so sweet! You did a wonderful job! Your cards are adorable! Congrats on your wedding and your Two Peas assignment! Does life get any better?! Adorable picture frame and I like the snowflake ribbon. Great cards!!! I love the little girls on the cards, they are so SO cute! =) Thanks for sharing! Very creative projects! Love both of them!